As long as she can remember, Caitlin King has been fascinated with space. 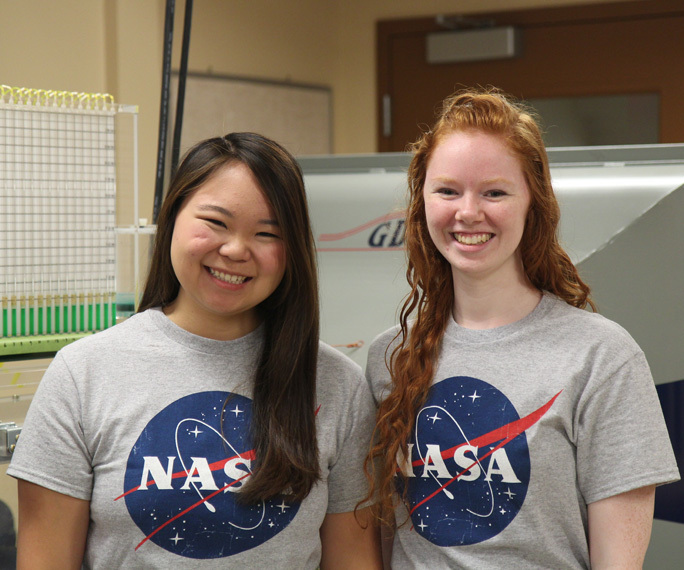 It comes as no surprise, then, that she would one day be rewarded for her love of all things space – in the form of a prestigious $8,000 NASA space grant scholarship through the Oregon Space Grant Consortium. The George Fox junior mechanical engineering major was one of only 15 students in the state of Oregon to receive the award for the 2014-15 academic year. It marked the second straight year a George Fox student earned the scholarship. In 2013-14, Keiko Fujii, a junior computer science major, won a $5,000 award from the consortium. Read more about Caitlin and Keiko here.